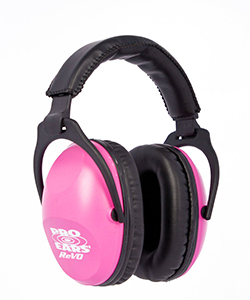 Low profile clam design keeps the muffs secure on little ears and offers a stylish look. 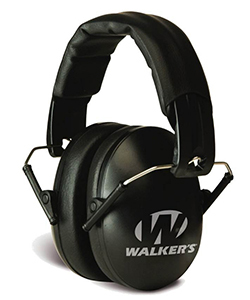 Strong high quality parts make them sturdy and robust, so much so we give them a 5 YEAR GUARANTEE! 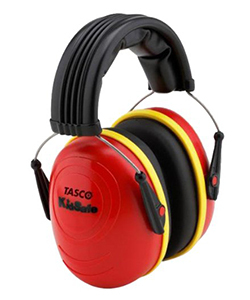 Tasco Kidsafe 2512 Over-the-Head NRR=25. 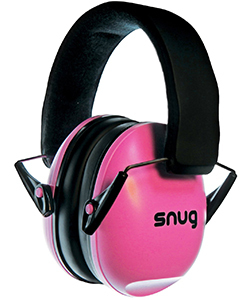 Provides thick headband pad for extra comfort and ear cushions provide all-day comfort and very little squeeze. 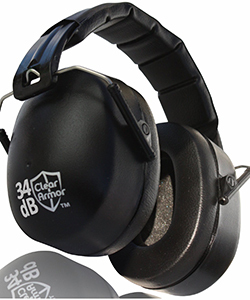 Deep ear cups allow ears to fit completely and comfortably inside.